NordVPN’s mission is to liberate the Internet. They stand for freedom of choice and taking responsibility. This reflects in their no-logging policy meaning that they don’t story any of your data. This makes their services truly anonymous. You can now get 77% off your VPN plan, using this NordVPN coupon code. Go for the 3 year plan and save 77% with this NordVPN coupon code making it just $2,75 a month. Use this Coupon Code at checkout to claim your discount. A VPN (Virtual Private Network) redirects your internet connection through a remote server. It acts as a hub between your screen and the actual machine connecting to the internet. This opens up a lot of possibilities like browsing privately, or accessing websites and services from another geographical location. And also, using our NordVPN coupon code, this is possible from just $2,75! There are a lot of reason you want to use a VPN. We’ve listed the top popular reasons why using a VPN is a good idea! If you like privacy and don’t want governments or companies to see what you’re doing online: using a VPN is for you. It allows for true anonymous browsing, making it the number one reason to use. Copyright restrictions in the USA are tough. Because of strict regulations, part of Netflix’ content can’t be accessed from outside of the USA. By using a VPN, it appears as if you’re accessing Netflix from outside the USA, unlocking all content available there. Broadcasting and news from your home country is often blocked when you’re abroad for traveling or business. To stay updated with the latest, you can use a VPN to connect from your home country. This way you can access all your favorite content. A lot of governments censor the internet blocking content you’d like to read or watch. Using a VPN, you’re tunnelling out of that country, making it look like you’re accessing content from another. This means no more censorship and a true open internet like it’s intended. Even companies limit content that can be accessed from within in an attempt to increase productivity. This most likely means that you’re not able to access Facebook, Twitter or your private email. Using a VPN tunnels you out of the company, opening up all services uncensored. In countries like Germany, P2P (torrent) filesharing is under control, making people afraid to use this incredible technology at all. When you use a VPN, you’re accessing these P2P services from outside of your country, lowering the risk of being spied on. Using VPN is easy and very affordable! VPN may sound technical and expensive, this is actually far from the truth. Using a NordVPN coupon code, your plan starts at $2,75 a month. Get one less coffee a month and you’re already covered! 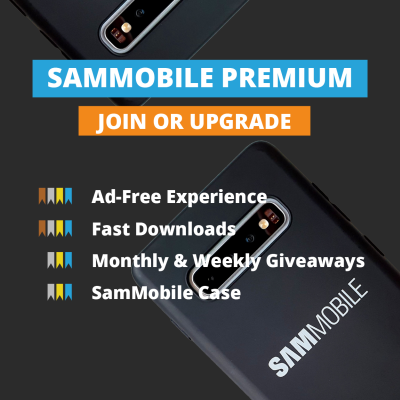 Using an APP or Andoid’s build in capabilities, it’s easy to use a VPN from your smartphone, including the latest Galaxy devices. It’s simply a matter of firing up your APP, set the right credentials and settings and you’re good to go. Have look at our recent VPN post to find out how. It’s NordVPN’s mission to bring top-of-the-shelf privacy and security solutions to the crowd. It should be easy to use and accessible for everyone as well. It can be used around the globe, no matter where you live. NordVPN therefore launched a physical product that you can order at Microcenter, Frys and amazon, delivering a NordVPN subscription box at your door. Browse to NordVPN and choose your plan. Enter your email address to create a secured account. Select your payment method. 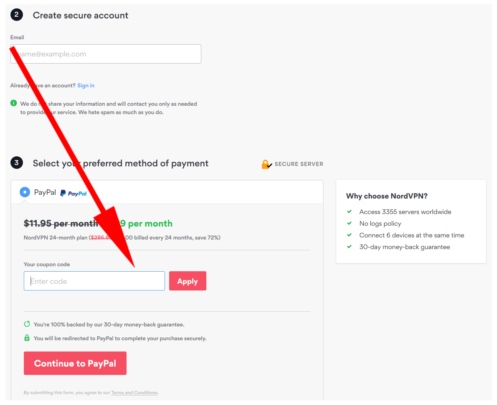 NordVPN offers PayPal, credit card, Alipay and even Crypto Currencies for anonymous payments. Now complete your order and enjoy your VPN plan with 77% off!